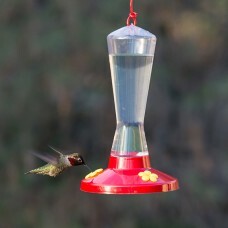 The Garden Song® Clear Plastic Hummingbird Feeder features 3 feeding ports and holds 8 ounces of nectar. 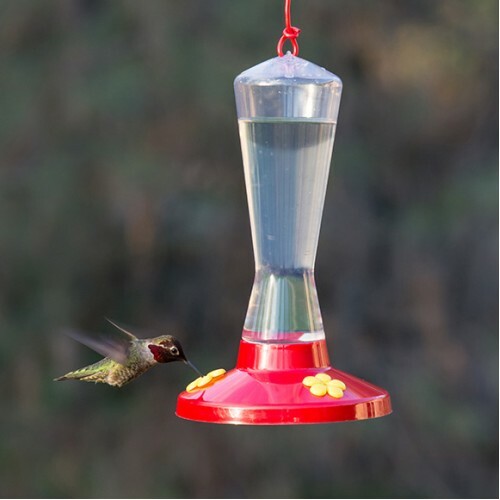 The clear, shatter-proof plastic reservoir of this birdfeeder makes it easy to monitor nectar levels and unscrews easily from the feeder base for quick cleaning and filling. For best results, use Perky-Pet® Instant Nectar. This specially blended nectar is easy to use, requires no boiling and stays fresh longer.